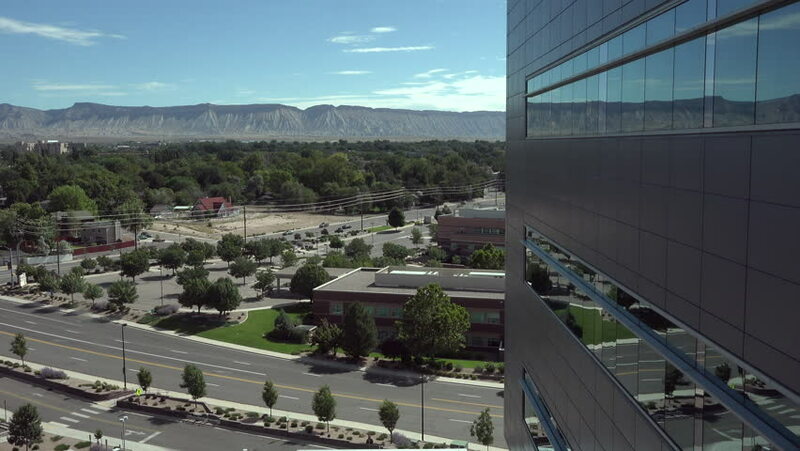 GRAND JUNCTION, COLORADO - JUL 2015: Establish traffic building from high rise hospital window 4K. St Mary's Hospital. Emergency, surgery for health. Healthcare, insurance and Obama Care. hd00:10Kuala Lumpur, Malaysia - 8th June 2017. Kuala Lumpur traffic with monorel or train passing by above the heavy traffic around the city. hd00:15Countryside train station with vintage locomotive . RAW helicopter camera flaying above the train station on a countryside on a sunny day with steam locomotive in display. hd00:26this is a birds-eye view of a busy intersection in Las Vegas shot in true time-lapse with proper motion blur. A day shot transitions into a night shot.